Sometimes it's what you don't flaunt that makes the most lasting impression. We are in the event business, specifically the portable restroom business. But what may not surprise you is that we don't really love talking about toilets. They are universally required, but more of a fact of life rather than a topic for your next dinner party. But when you're planning an event, bathrooms – portable ones, especially – are a make-or-break kind of deal. Definitely a must-have, but not meant to be your event’s show stopper. They shouldn't draw attention, rather, leave you with a feeling of: “Gee, that was a nice restroom. Polished, but not fussy. Classy." At Eliza J, we like to call this understated elegance. I may be in the porta potty business, but the women known for their classic, simple style are actually my inspiration. Audrey Hepburn, Grace Kelly, Coco Chanel, Greta Garbo, Jackie O…these ladies all had perfect polish, and their timeless looks created a lasting impression that was anything but over the top. Even relaxing, Jackie always looked great. Before I make these women roll over in their graves, I want to be clear that I am not comparing five of the most remarkable style icons to toilets – even really nice ones like ours! But what is it that makes Audrey, Grace, Coco, Greta and Jackie so memorable? 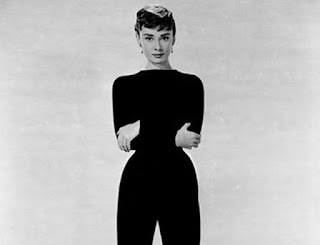 For Audrey, her pixie hair cut, signature cropped pants and ballet flats were casual, but she always looked 100% put together. Princess or not, Grace knew how to make a statement with a simple strand of pearls, without feeling the need to over-accessorize. Coco can be credited with both the women's suit (collarless jacket and shirt) and the little black dress. Greta had a slightly androgynous look that appealed to both sexes, yet she never lost her femininity. And Jackie. 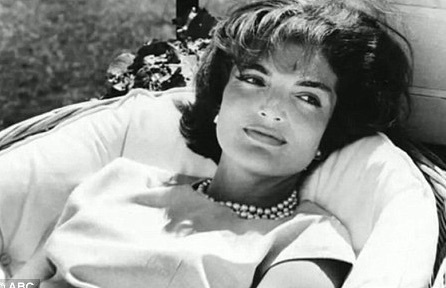 Whether she wore a Lilly Pulitzer shift dress as the First Lady, or a scarf and oversized shades as Mrs. Onassis, she always had a presence. So, how do these style icons inspire me to deliver great portable restrooms? It’s simple. ElizaJ® portable restrooms are high quality, pristinely clean and attractive. They have everything you need – without the overpriced add-ons you don't need. All of our units are completely self contained, with fresh water flush and sinks, and solar, motion activated or electric lighting. Our Powder Room Comfort® Series Trailers also feature separate restrooms for men and women, no-hand touch sinks and flush, air conditioning – even a plug and play set up for music. Just the bells and whistles that matter… no gimmicks, no flaunting. Need a clean, attractive and elegantly understated portable restroom for your event?